Do you fancy an adrenaline rush on our roller coaster of a trail? 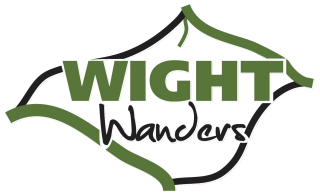 We have a new circular trail that is 90% off road making the most of the Island?s extensive network of Bridleways. The route is self- guided starting and finishing in the pretty town of Yarmouth taking in most of the Islands scenic landscape including the famous Tennyson trail with its panoramic view of the Island. You will enjoy exploring some of the Islands remotest areas during your 55 mile adventure. With its mixture of fast downhill runs, single track bridleways, open moorland with many challenging climbs. We can accommodate couples or put together a package for groups and charity fund raising events, why not get together with some friends or colleagues for a fun filled weekend. 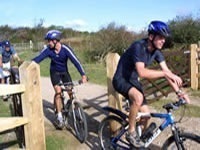 The Island is regularly voted one of the best places to cycle in the UK. You will stay in cyclist friendly accommodation close to your route and your luggage will be transferred each day. We supply all mapping and written notes included. Either turn up with your own bike or we can arrange hiring own for you. Plenty of pubs on route to give liquid refreshment and the chance for a pit stop. Yarmouth has several great pubs and restaurants and you will have a choice of places to eat in the evenings on route. You will head back to the mainland tired and saddle sore but with some wonderful memories of the Isle of Wight.